CHICAGO, Illinois, April 3, 204 (ENS) – Alleged bribes of Indian officials to secure licenses to mine titanium minerals in India have led to charges of racketeering conspiracy brought by the U.S. Government against six foreign nationals, including a Member of India’s Parliament. As alleged in an indictment unsealed in a Chicago courtroom Wednesday, the defendants used U.S. financial institutions to engage in the international transmission of millions of dollars for the purpose of bribing Indian public officials to obtain approval of the necessary licenses for the project. Five of the six defendants are charged with conspiracy to violate the Foreign Corrupt Practices Act, among other offenses. Beginning in 2006, the defendants allegedly conspired to pay at least US$18.5 million in bribes to secure licenses to mine titanium minerals in the eastern coastal Indian state of Andhra Pradesh. The mining project was expected to generate more than US$500 million annually from the sale of titanium products, including sales to unnamed “Company A,” headquartered in Chicago. One defendant, Dmitry Firtash, aka “Dmytro Firtash” and “DF,” 48, a Ukrainian national, was arrested March 12, 2014, in Vienna, Austria. Firtash was released from custody on March 21, 2014, after posting 125 million euros (US$174 million) bail, and he pledged to remain in Austria until the end of extradition proceedings. The other five defendants remain at large, including K.V.P. Ramachandra Rao, aka “KVP” and “Dr. KVP,” 65, a Member of Parliament in India who was an official of the state government of Andhra Pradesh and a close advisor to the now-deceased chief minister of the State of Andhra Pradesh, Y.S. 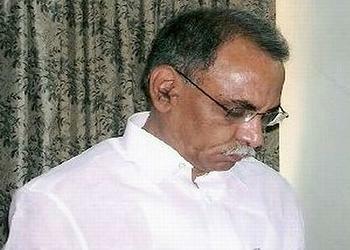 Rajasekhara Reddy. Rao allegedly solicited bribes for himself and others in return for approving licenses for the project, and he warned other defendants concerning the threat of a possible law enforcement investigation of the project. In April 2006, Bothli Trade, a Swiss company allegedly controlled by Firtash, and the state government of Andhra Pradesh agreed to set up a joint venture to mine various minerals, including ilmenite, a mineral which can be processed into titanium sponge, a porous form of the mineral. Ilmenite is used to produce titanium dioxide, an ingredient of white pigments in high-quality paints, paper and plastics. Valued for its low density and high level of corrosion resistance, titanium is used to produce parts for jet engines, missiles, orthopedic implants, jewelry and mobile phones. Throughout the Cold War, titanium was considered a strategic material by the U.S. government, and a large stockpile of titanium sponge was maintained by the Defense National Stockpile Center. As of 2009, titanium sponge metal was produced in: China, Japan, Russia, Kazakhstan, the United States and Ukraine. 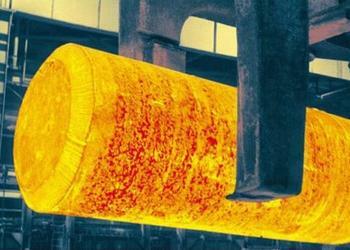 In February 2007, Company A entered into an agreement with Ostchem Holding, another of Firtash’s alleged companies, to work toward a further agreement that would allow Bothli Trade to supply five million to 12 million pounds of titanium sponge from the Indian project to Company A on an annual basis. The mining project required licenses and approval of both the Andhra Pradesh state government and the central government of India before the licenses could be issued. According to the indictment, Firtash was the leader of the enterprise and caused the participation of certain Group DF companies in the project. Firtash allegedly met with Indian government officials, including Chief Minister Reddy, to discuss the project and its progress, and authorized payment of at least $18.5 million in bribes to both state and central government officials in India to secure the approval of licenses for the project. Firtash also allegedly directed his subordinates to create documents to make it falsely appear that money transferred for the purpose of paying these bribes was transferred for legitimate commercial purposes, and he appointed various subordinates to oversee efforts to obtain the licenses through bribery. The indictment lists 57 transfers of funds between various entities, some controlled by Group DF, in various amounts totaling more than $10.59 million beginning April 28, 2006, through July 13, 2010. The indictment seeks forfeiture from Firtash of his interests in Group DF Limited and its assets, including 14 companies registered in Austria and 18 companies registered in the British Virgin Islands, as well as 127 other companies registered in Cyprus, Germany, Hungary, the Netherlands, Seychelles, Switzerland, the United Kingdom and one unknown jurisdiction and all funds in 41 bank accounts in several of those same countries. The indictment also seeks forfeiture from all six defendants of more than $10.59 million. This case is being investigated by the FBI’s Chicago Field Office. Acting Assistant Attorney General David O’Neil of the Department of Justice’s Criminal Division, U.S. Attorney Zachary Fardon for the Northern District of Illinois and Special Agent in Charge Robert Holley of the FBI’s Chicago Field Office made the announcement.